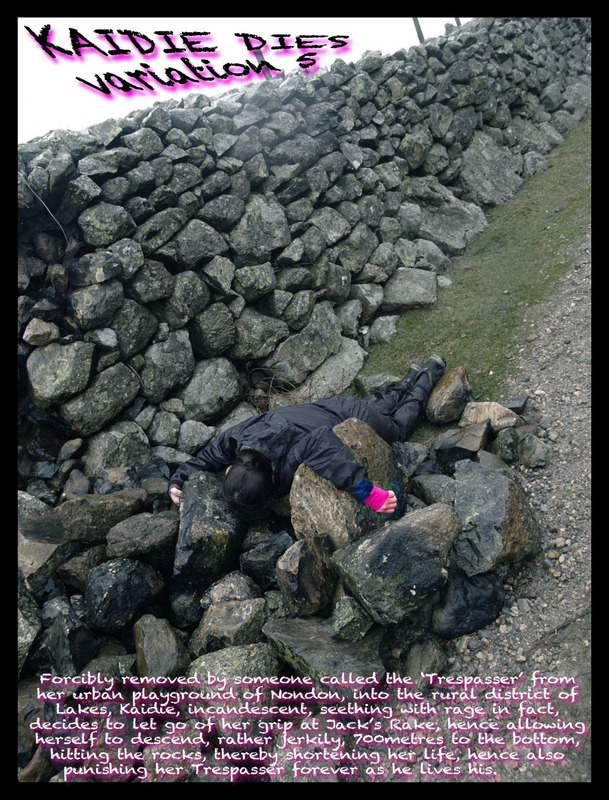 Photograph by the same Trespasser on his mobile phone after he drove Kaidie to an early grave, after he realised that Kaidie was gone, and when he saw Kaidie's corpse, and when he concluded that she was dead, and thereafter carried on with his walk at Jacks Rake, or is it Jake's Rack, while Kaidie continued with her own astral journey/journeys across dimensions. This entry was posted on Friday, July 22nd, 2011 at 12:05	and is filed under DYING and tagged with between life & death, existence, journey, mortality, nondon, willpower. You can follow any responses to this entry through the RSS 2.0 feed. You can leave a response, or trackback from your own site.